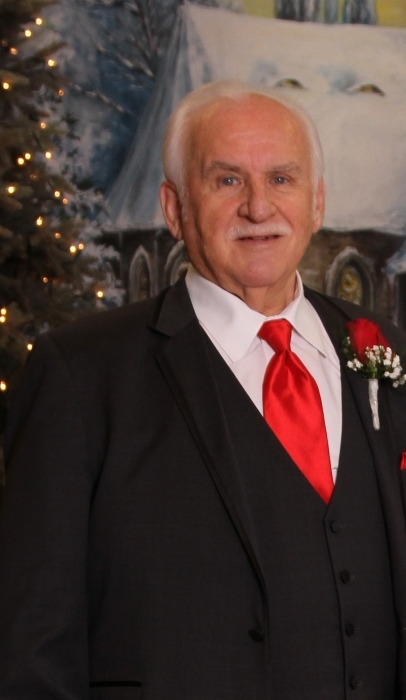 Fred W. Keister, 82, of Lewisburg, went to be with the Lord at 8:30 PM on Saturday, October 06, 2018 at his residence surrounded by family. He was born on August 05, 1936 in Mifflinburg, a son of the late Francis and Grace (Kleckner) Keister. He married the former Edith Mae Loss on Dec. 12, 1954 who preceded him in death on Oct 6, 1975. On September 04, 1976, he married the former Rachel M. Watson who survives. Mr. Keister retired in 1998 from American Home Foods after 43 years of service. He was earlier employed by Milton Shoe Factory. Fred was attending Bethel Holiness Church, Mifflinburg. He enjoyed attending public sales and having garage sales. He was known for his homemade ice cream. He enjoyed playing games, picnics, making mountain pies, canning, and traveling. He was always ready to do a kind deed for his family and friends and was known to play practical jokes. Surviving are two daughters and sons-in-law, Debra Ann and Wayne Brouse of Selinsgrove, Cynthia Mae and Christopher Cook of Milton, two sons and one daughter-in-law; Rick Lee Keister and Crystal Shipe of Milton, Scott William Keister of Milton, three sisters, Kathryn Gearhart of Lewisburg, Shirley Catherman of Lewisburg, Mary Jane Benner of Mifflinburg, one brother and sister-in-law, Stanley and Sylvia Keister of Mifflinburg, 19 grandchildren, 24 great-grandchildren. He was preceded in death by one brother, Myron Keister, one sister Virginia Wagner, and one great grandson, Duriel Holdern . Interment will be in Mifflinburg Cemetery. In lieu of flowers, the family is making a donation to Haiti missions in Fred’s name. If you would like to contribute, any moneys can be entrusted to Rachel Kesiter.